Georgian ex-president believes that the right to pardon is not limited. 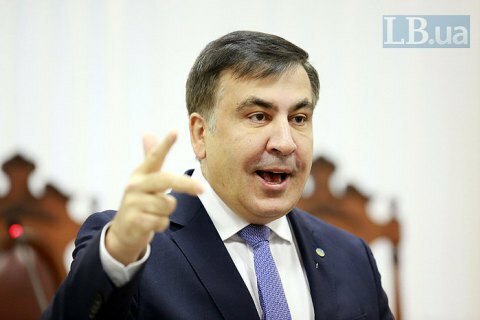 Mykhailo Saakashvili, the former president of Georgia and the ex-head of the Odesa regional state administration, calls illegal the verdict of the Georgian court that sentenced him in absentia to three years of imprisonment. Saakashvili dismissed the accusations and verdict on his Facebook page on Friday, 5 January 2018, saying that "the verdict of the Georgian court, which is under total control of Ivanishvili, the largest private shareholder of Gazprom, is totally illegal." "[The verdict] contradicts all international, national norms and common sense. A president cannot be accused for using the right of pardon (which I used for 133 former servicemen). It proves the completely political nature of this process, which also means that the Georgian authorities in five years have not found anything significant on me: no facts of corruption or any other offenses," Saakashvili wrote. "This verdict, as well as the parallel process in Kyiv, show that the oligarchic authorities in Ukraine and Georgia act synchronously and in full coordination with each other against me as the leader of the fight against corruption, oligarchy and the looting of the people," he added. Earlier today, Georgia's Tbilisi City Court in absentia sentenced ex-president Mikheil Saakashvili to three years in prison for abuse of power.